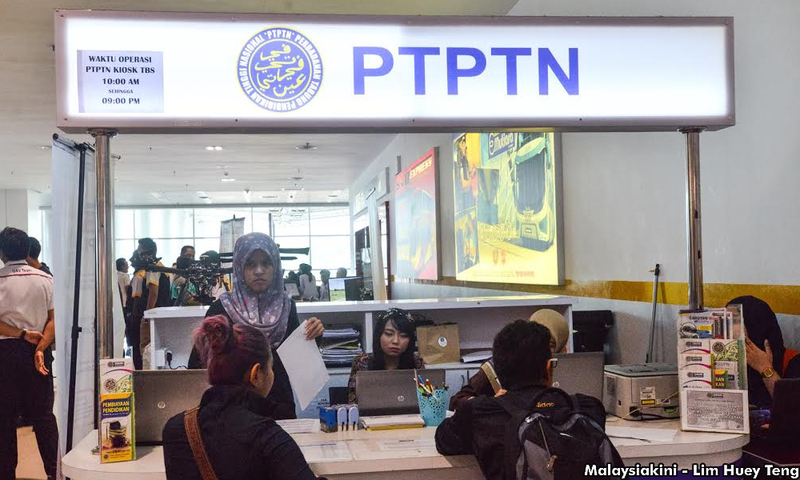 A total of 753,058 former students who took loans from the National Higher Education Fund Corporation (PTPTN) have not repaid a sen, resulting in them owing RM5.191 billion to the corporation, Higher Education Minister Idris Jusoh told Parliament. Replying to a question from Che Mohamad Zulkifly Jusoh (BN-Setiu), who asked how many defaulters had not repaid a sen to PTPTN, Idris replied that as of Aug 31, this year, a total of 1,917,033 students who took the loans had completed their studies. “A total of RM18.311 billion was supposed to be collected from the former students. “However, out of that total number, only 1,163,975 paid their dues, resulting in RM9.6 billion collected,” the minister replied. To put the numbers in perspective, 60.7% (1,163,975) students have paid their dues, while the remaining 39.3% (753,058) loan defaulters have not repaid a single sen. The number is rather staggering, considering PTPTN has and will continue to bar loan defaulters to leave the country. Gentle reminder that there is currently discount promotion for PTPTN loan repayment announced during Malaysia Budget 2017.